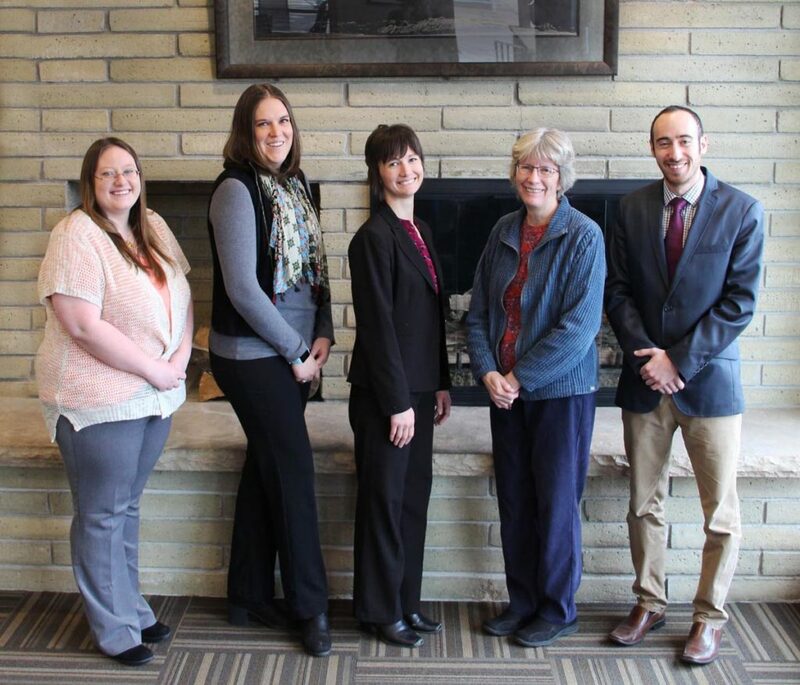 April 2018 (Wyoming) – Pence and MacMillan is pleased to feature the exceptional staff from three of its office locations in Laramie, Cheyenne and Sheridan, and recognize the talent they contribute to the firm. To look more into the lives of each staff person, we asked each individual about their interests outside of the office, why they chose to join the Pence and MacMillan team, and some of the strengths they see in the firm. – Outside of the Office: For a few years in college I volunteered with the Laramie Animal Shelter. I ended up adopting my very first dog, Reesie, from the shelter in 2013. Last October I adopted another dog, Pumpkin, from My Second Home Rescue in Colorado. While I volunteered I enjoyed sitting with the dogs that came in; it was the most rewarding thing to be able to show the dog that not all humans are bad and that it is ok to trust again. Most of the time if I’m not at work you can find me with my dogs. I love teaching them new tricks and spending time with them outside and inside. I was nervous before I got each dog and now I can’t imagine not having them. I did an internship with Pence and MacMillan my senior year of college and liked it so much here that I jumped on the opportunity to come back. I think a huge strength is that everyone I work with is good, honest, and strives to be and bring their best every day for their co-workers and the clients that we represent. I enjoy coming to work because I get to work with true professionals every day. I like the fact that my coworkers here are hard working and are truly wonderful people to be around. – Outside of the Office: We have 8 year-old and 5 year-old girls, and we all love to take dance classes. I enjoying running, and am training for a half marathon. My husband and I refurbish furniture together, are active in our church, and love to go camping. Our family is also avid Pokes fans; our girls have been going to either UW football or basketball games since they were infants. Before I was a paralegal, I taught for almost 18 years in the Laramie county school district, and then became a licensed financial advisor and went through licensure for that. I decided to switch careers because we had two small children, and decided that we wanted to raise our girls in Laramie and eventually retire here. I joined Pence and MacMillan because they are a local firm. I wanted to work in an area that is local, that has an emphasis in community, helps the community, and has community roots. The people with Pence and MacMillan are such hard workers, but can also make jokes and understand where to improve when we need to. The firm has great communication, and I know I can always get training where I need it. They are open to people continuing to improve. The firm is very team oriented, which is what I really enjoy. If I don’t know how to do something, everyone jumps in and helps out. We aren’t singled out here – people reach out to point each other in the right direction. – Outside of the Office: I enjoy hiking, camping, yoga, music, traveling, reading and wine. I have always had an intense interest in legal matters and research. I love being challenged and working in a fast-paced setting. Working at Pence and MacMillan has delivered on all fronts. The people that work for Pence and MacMillan are very genuine, supportive, and are all complete work horses. There is not a person here that is afraid of rolling up their sleeves and chipping in to help in a pinch. There is also a strong sense of community and wanting to give back wherever and whenever possible. From driving to Fort Collins to recycle shredded paper and glass from the office to chipping in and volunteering around the community, Pence and MacMillan always seems to be finding ways to make our community better. The people that work here are wonderful. There are a lot of cheerleaders that will praise hard work, while also always pushing you to be even better. Everyone here loves to laugh, and so there is no shortage of comedic stress relief around here. No day at Pence and MacMillan is routine and there are always new challenges to problem-solve through. I am working with some of the smartest people I have ever met. I’m always blown away by their creative approaches to resolving issues, their ability to see an opportunity where others see a setback, and their endless dedication to the clients. – Outside of the Office: My husband and I have three grown kids. We live in Walden; my husband is a rancher, I like to cook and I especially love to quilt, putting together my own designs. We are devoted followers of Cowboy Basketball. When I had finished raising my kids, it was time to go back to work. I had done legal work before in Steamboat Springs, CO, but then preferred looking for something in Laramie. And so I commute from Walden to Laramie. After working in Laramie and with this firm for over five years, I feel like Pence and MacMillan is the best firm in town. There are lots of good people here, and they take really good care of their clients. They put together a lot of events for employees, like a camping trip in the summer. With all of these different activities and traditions they have within the firm, they really make an effort to become like family. – Outside of the Office: I enjoy playing video games, (PUBG!) playing music, and going to concerts. I also enjoy hiking/camping and playing recreational sports, especially ultimate Frisbee or softball. I chose to work at Pence and MacMillan because they had a part time position open to help migrate data from one system to another. After the first day, I applied for the Bookkeeper position and became a full time employee after my first week. I think the firm is very good at having fun at work and making us all feel like we’re part of a team. I also see a major strength of Pence and MacMillan as their dedication to the client. The attorneys go far out of their way to ensure that the client always feels that we did right by them, and correspond personally to show them that even when our business relationship has ended, we still value them and wish them well. I absolutely love working here because every day coming to work it feels like I’m coming to see friends and family. The firm is great at creating a day-to-day professional, yet laid-back and fun environment. Everyone in the office is approachable and friendly regardless of their position or what they’ve got going on that day. Beyond that, the firm sponsors extracurricular events, like a company-wide camping trip and Christmas party every year and a recreational company softball league. Throughout the year, we are treated to company-wide lunches, happy hours, and parties to bring everyone together and demonstrate that we’re more than employees and employers to each other. 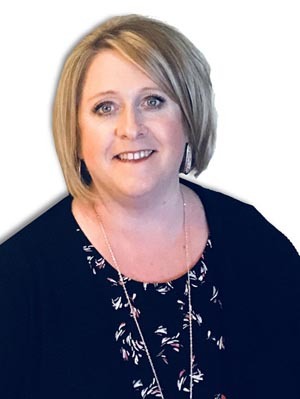 – Outside of the Office: I enjoy spending time with my family and friends, baseball (whether it’s my sons or the Colorado Rockies playing), camping, fishing and watching movies. I was lucky enough to be invited to join Pence and MacMillan with Scott Meier in 2015. Pence and MacMillan is a full spectrum firm, offering a variety of legal services to meet our clients’ needs. If we are not able to assist with something, we provide alternative resources to enable clients and potential clients to obtain the services they require. 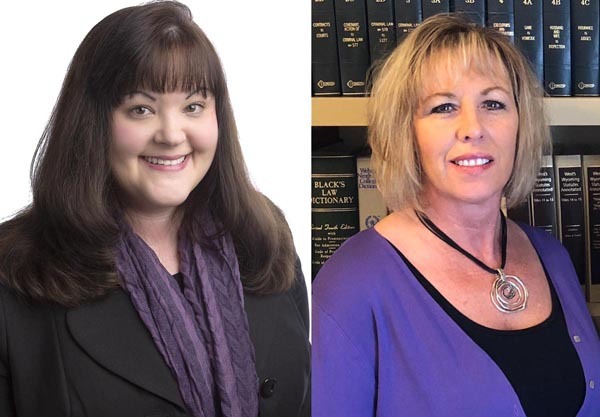 The attorneys and staff are genuinely dedicated to our clients and approach their work as though they personally are impacted by the issues presented. – Outside of the Office: I love spending time with family and friends. I enjoy camping, boating, golfing and working in my gardens. I joined the Pence and MacMillan team because I thought it would be a great place to work with great people, and where I could expand my knowledge in other areas of the legal field. Although I have only been with Pence and MacMillan a short amount of time and have not met everyone from the different firm locations, everyone has been very friendly and helpful. The attorneys, paralegals and all other staff members are very professional, knowledgeable and I believe I made the right decision joining the team of Pence and MacMillan. – Outside of the Office: My husband and I have four kids and three grandkids. We love to camp with all of our family, and my husband and I fly fish. I sit on the Never Flinch board foundation, a small regional foundation that helps defray the cost of people going through cancer treatment. My husband and I are also a foster family for the National Brittany Rescue and Adoption Network. Having worked with the City of Sheridan for 7 years, I was familiar with the work that Greg Von Krosigk was providing as the City Attorney. I welcomed the change of direction knowing the services provided by Pence and MacMillan, and that Greg would be accomplished by honest, skilled and a respected firm. The view of the Big Horn Mountains from the office is a complete bonus. In one word, the biggest strength of the firm is “integrity.” It is a strength and a value that immediately comes to mind when I think about working with Pence and MacMillan, not only as an employee, but with the services provided to our clients. I think our Sheridan office is unique in that it’s just Greg and me in the office. With that being said, I still feel that we are all on the same team and can always reach out to the other offices for assistance. I appreciate seeing how each location is invested in their community.